If I may be allowed to over-simplify things quite a bit, the core aim of VDI is to deliver a local/physical PC experience from a remote-hosted virtual PC. VDI is *not* simply a virtual PC. A virtual PC may be run on the actual machine the user is operating (i.e., the local PC). VDI moves the virtual PC into the cloud by making it a remotely-hosted platform. Because of this, one of the biggest hurdles VDI faces is communication: How do you deliver a "local PC" experience when hampered by the inherent bandwidth and timing constraints of a remotely-hosted system? Better SecuritySystems and data remain under local control even for remote users -- a lost laptop no longer equates to a lost copy of sensitive data. Enjoy many of the same benefits of server virtualization including swift system deployments, easy rollbacks and dynamic sharing of system resources. Expanded Endpoint OptionsUse a wide variety of endpoint devices to access business systems and applications (great for BYOD scenarios). VDI is not a "one-size-fits-all" solution. Even within businesses that benefit greatly from VDI there are almost always use cases where VDI simply doesn't make sense. Media editing is one typical case -- moving audio and video across the wire is tough to do in near-real time. Any lag at all can be a deal breaker for your media editors. CAD/CAM is another example: real-time rendering of objects is a must for model designers. You *could* deliver the performance needed in a VDI solution but the extra effort and costs involved probably aren't justified compared to the costs of deploying and managing local machines. Your typical "best ROI" VDI scenario will almost always include at least a few traditional, local boxes. VDI also does not typically deliver up-front cost savings. Any dollars saved on endpoint systems will be gobbled up in additional server, storage and networking infrastructure. On top of that you'll have to spend extra dollars on VDI-related licensing costs. How much more can vary wildly -- it depends on your scenario and the chosen VDI solution. Suffice it to say that a VDI deployment is almost definitely going to cost more up-front than a traditional non-VDI deployment. The cost benefits come later. It's worth noting here that different VDI solution providers tend to use different terminology for similar features. Pretty much any VDI-related feature mentioned for Windows Server will be found in some form or fashion in competing solutions from Citrix and VMWare. Windows Server VDI is still playing catch-up to the industry in a lot of respects so, if anything, you should expect to find *more* features in competing VDI products. That said, if you're a Windows Server shop then you may not need to stray from the platform you already know so well. Shadowing means you can view and take control of your user's session. This feature was inexplicably removed from Server 2012 but is now returned in 2012 R2. Even better: in R2 you can finally shadow RemoteApps. If you don't already have some sort of VNC-based remote desktop view/control solution in place, session shadowing is a user support godsend. Good news if you routinely employ different endpoints (home/work/mobile) to access a VDI-hosted persistent-session system! Previously if you wanted to add a monitor, remove a monitor or simply change the resolution of your endpoint's monitor you were forced to log out and then log back in for the change to take effect. In 2012 R2 display configuration changes are immediate applied. Depending upon your use case, this may be the biggest improvement of all. R2 utilizes more efficient media codecs for greatly-reduced bandwidth requirements. Microsoft says video piped from Server 2012 R2 requires 50% less bandwidth than video piped from Server 2012. Microsoft has expanded storage features including caching, data deduplication for "active" files (previously only available for "at rest" files), storage tier management (dynamic block-level migration of data between faster/slower disk volumes based on data use), shared VHDX disks and more. This all adds up to better use of storage resources with the potential for greatly improved system performance overall. Note that there are plenty of other improvements included in the upcoming R2 release -- these are only what I consider to be the notable features likely to have an obvious, immediate impact for most deployments. 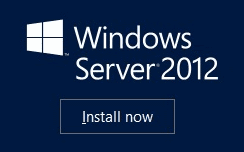 Again -- go grab a free copy of Server 2012 R2 Preview and try it out for yourself until 2014. If there is a killer R2 feature I didn't specifically mention please throw in your two cents via the comments below!